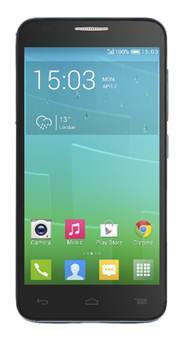 Alcatel Onetouch has launched the IDOL 2 MINI S 4G LTE smartphone through Carphone Warehouse. This good looking Android smartphone has been built with performance and usability in mind. Its brushed metallic finishing and diamond cut perfectly complement its Quad Core processing power and a sharp IPS display to create a smartphone perfect for style-conscious consumers. With an 8 megapixel rear camera for HD video capture and crisp photos with image stabilisation enhancements, the IDOL 2 MINI S is a premium choice without the price tag. With a screen size of 4.5”, the IDOL 2 MINI S is compact and fits in the palm. Despite its size, the IDOL 2 MINI S doesn’t compromise on the user experience. Innovative, user-focused features like One Finger Zoom ensure that it can genuinely be used with one finger. The IDOL 2 MINI S is available in Slate from Carphone Warehouse priced at £12 per month on pay monthly.